Explore the limestone gorge of Dovedale and its famous stepping stones on this wheel-friendly walk in the Peak District National Park, with accessTOG ambassador Debbie North as your guide. Our walk begins from the car park at the Izaak Walton Hotel, a converted 17th century country house situated on top of a hill with spectacular views across the Derbyshire countryside. There’s a gorgeous log fire and wooden-beamed ceilings in the lounge, making the hotel extremely homely. There are no accessible rooms in the hotel, but the bar and restaurant have been made accessible by portable ramps at the main entrance. We enjoyed morning coffee here before setting off on our walk. From the hotel there are various paths heading towards the Dovedale stepping stones, but stiles prevented us from taking them. Instead the accessible track comes down the main drive of the hotel, where a track leads through the trees and runs alongside the road to a private car park with accessible toilets (RADAR). Dovedale’s famous stepping stones are less than half a mile from the main car park. It’s a short but beautiful walk along the River Dove and, in my opinion, the prettiest of the Derbyshire Dales. The land is owned by the National Trust and annually attracts a million visitors. It’s a great stop for a picnic and to spot wildlife, whatever time of the year. 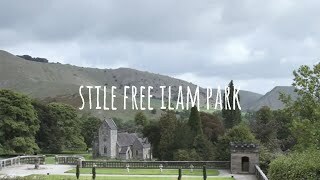 Ilam Park is only 5 minutes away. There’s a route that takes you straight there, but unfortunately again there are stiles on this track. The road is the only way to Ilam Park for wheelchair users and it can be quite busy. I suggest getting back into the car and driving around through the pretty village of Ilam. 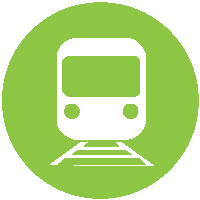 Ilam Park is now a youth hostel that’s open all year, and a great place to explore the woodland and riverside with plenty of open spaces. The surrounding gardens and parkland are maintained by National Trust volunteers and rangers, and the tea room is open daily throughout the year serving homemade cakes, hot and cold lunches, drinks and ice creams. There are steps into the café making it inaccessible, but drinks can be brought out into the garden or there is extra indoor seating in the old stable block. There’s also outdoor seating in the garden terrace offering far-reaching views. One thing to note: given that the garden terrace is up a slope, it’s a little tricky to get to if you have accessibility issues. Pushing a manual chair may prove challenging. Having said this, free disabled parking is right near the cafe, which makes things a little easier. Dogs on leads are always welcome to visit Ilam Park and you’ll find water bowls and lead hooks by the stable yard and the tea room. There are family trails available every school holiday and a permanent orienteering course available all year round. The shop in the stable yard is accessible and sells a good selection of books, gifts and souvenirs; and there’s a good path down to the village church, which is open daily. I had the most wonderful day in Dovedale. The Izzak Walton is a wonderful place to have morning coffee/afternoon tea. The staff were so helpful and kind. A visit to Dovedale is a must.